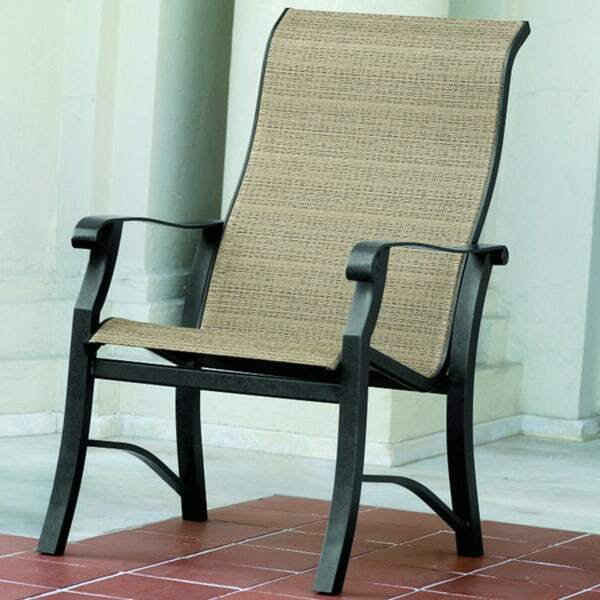 If low-maintenance outdoor furniture that carries refined elegance and charm is required on your porch or patio, then look no further than Cortland Sling from Woodard. 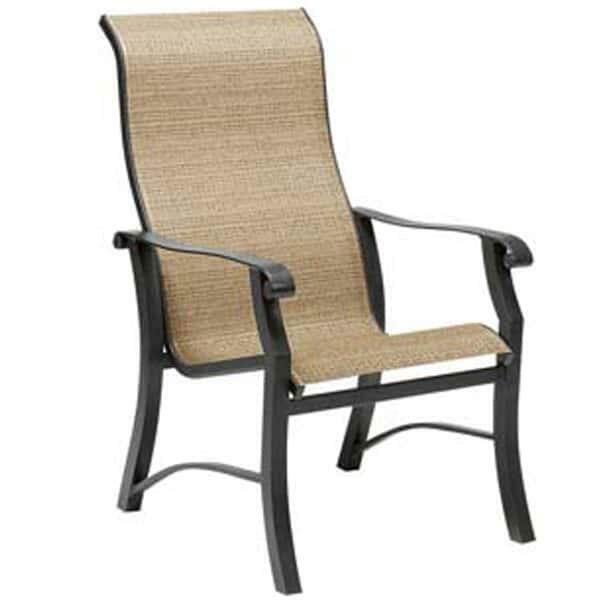 While the high-quality aluminum frames offer hand-worked curves and great details such as the scrolled hand rests, the sling seating is virtually maintenance free. 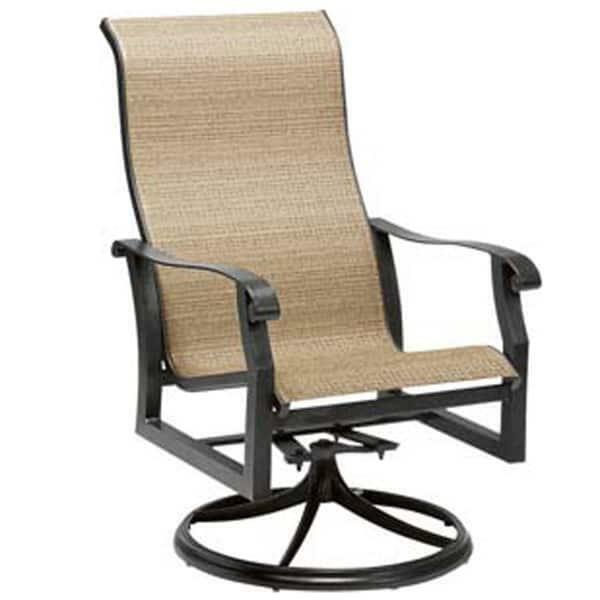 Sling is prized for its ability to dry quickly and stay clean while offering an ergonomic and comfortable seating experience. 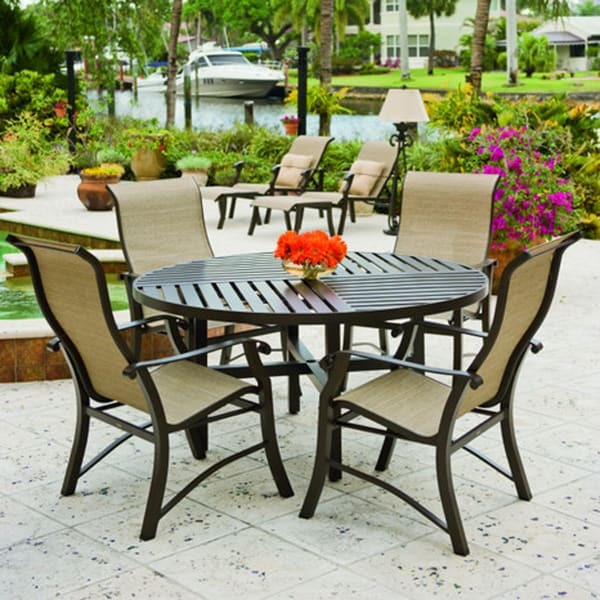 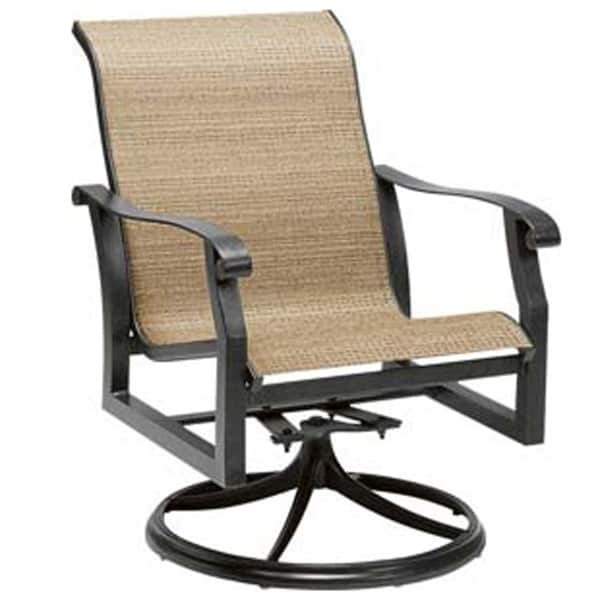 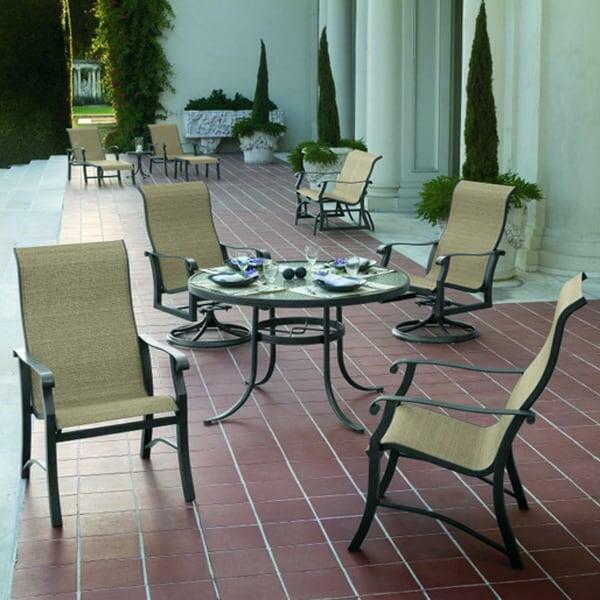 And powder-coated wrought aluminum is a great choice when it comes to patio furniture; these pieces will stand the test of time if left outside in the elements with very little care requirements. 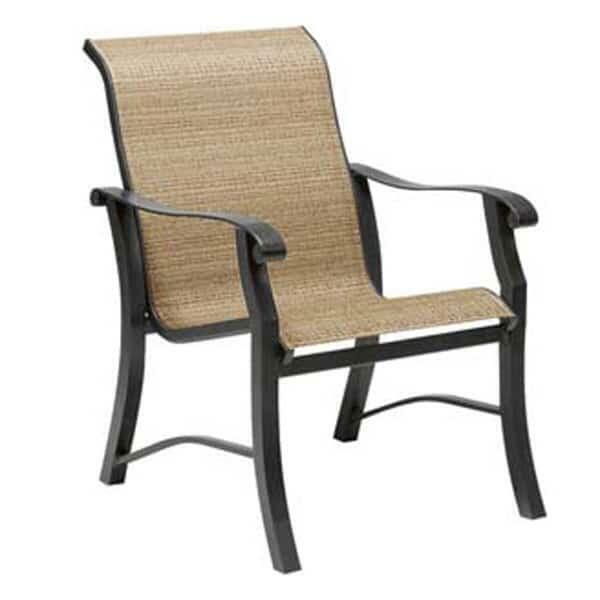 W 25.3" x D 30.8" x H 35.5" LBS 20 SEAT HEIGHT 17"
W 25.3" x D 30.8" x H 35.5" x LBS 28 SEAT HEIGHT 17"
W 25.3" x D 33.3" x H 41" LBS 22 SEAT HEIGHT 17"
W 25.3" x D 31.9" x H 41" LBS 30 SEAT HEIGHT 17"